I have lung cancer, I have a lot of different problems, including fever, vomiting, and constipation. A nurse at the hospital told me to eat yogurt, but to make sure the probiotic had the good bacteria in it. Well, I hate yogurt. I started eating it though, 1 to 2 containers a day. Well, the symptoms got worse. So I stopped eating it, after a few weeks the regular problems came back so back to the yogurt I went, but this time I only ate it three times a week and it seems to work this way for me. I have a medical condition and am on immunosuppressants. Two Bifidobacterium infantis probiotic supplements have destroyed my life. Little did I know! I have done a lot or research since and would advise anyone not to take these. The potential benefits are simply not worth the risk. I have had very good experience with probiotics. I have avoided most of winter illnesses for a number of years now. There is enough research now in the field of probiotics so I am pleased you are sharing this. There are many sites around the world sharing this information. I rely on probiotics to maintain my digestive tract health. I've had a sensitive digestive system my whole life, colon problems also run in my family. So I've always felt the need to be proactive about my digestive health. I used to use a generic probiotic from the local pharmacy until my doctor recently recommended Florajen digestion. The products are refrigerated for potency purposes and I've definitely noticed a difference in effectiveness. I have taken a wide spectrum of probiotics after antibiotics, or to fight general gastritis. The reason is, a wide spectrum is needed. The gut bacteria may be out of balance in the first place, these bacteria can be opportunistic like any other so all of the typical species we need for food absorption and vitamin synthesis need be present. They may not all be present due to imbalanced diet, recent illness, invading bacteria or bacterial overgrowth of one or a few of these commensal species. Keeping the natural diversification if species populated makes it difficult for invasive species to thrive or overgrowth commensal species to develop or thrive as well. For the same reason, taking or even rating a very narrow spectrum is not a good idea either. Besides, it seems absurd to suggest you can do research to find the one that will help your condition. Probiotics are a type of holistic approach to treating illness. I've never heard of any claims that one type will treat a particular condition, but if that were true, one would still be setting themselves up for problems due to the reasons already described. Note that many yogurts carry only one or two strains; many health practitioners suggest at least 10. I am interested to know what probiotic supplements a 72 year old female can use for bloating, arthritis, and itching. Two weeks into using this probiotic product I began having severe (like water) diarrhea, nausea, gas, bloating, belching, and then vomiting. I am heading to the emergency room for dehydration. I was diagnosed by a gastroenterologist with IBS (irritable bowel syndrome), and non-specific colitis. I was instructed to take a daily probiotic for the rest of my life. Needless to say, I started doing research. In the end, I chose to culture (ferment) water kefir grains. A year plus into the process, and having enjoyed a quiet season in my gut and a boost to my overall health, I began a risky twelve-week drug therapy which required that I stop my intake of cultured water kefir. On the last day of that risky drug therapy, I became ill. Twenty-four hours later, I was in surgery for severe diverticulitis with 10 cm abscess. Seven weeks later, the colostomy from the first surgery was taken down, and less than a week after that, I had an emergency exploratory surgery for a serious infection. Now I'm back on the water kefir schedule (8 oz. glass per day). I have no residual problems from the surgeries and my overall health is better than it has been in months. I do not trust probiotic supplements in pill form. The best probiotics are live, and there is no way that the most beneficial flora and bacteria can survive processing into pills. While culturing water (or milk) kefir may be time consuming, the benefits far outweigh the trouble. I do an initial culture for 36 hours, then a second culture at room temperature with dried cranberries added for flavor and benefit. Chilled, the result is a refreshing and very beneficial daily probiotic. I was itching for 3 years straight. I had to take Zyrtec and Benadryl every day. I went to an allergist who could tell me nothing for USD 1200.00. My family doctor could only tell me to take the Benadryl and Zyrtec. I decided to go to a whole food store. I was told to take the probiotic Megaflora for 30 days. At first I didn't notice a difference in the itching. After 7 days there was no more itching! I continued to take the probiotic as instructed. I came to notice how much better I felt physically. I will continue to take it to detox my system. Fermented milk products such as yogurt are almost without a question considered good for digestive system. In my case it is just the opposite; when I eat yogurt or sour cream (not butter or milk which are no problem), I get very intense and unpleasant breath. My wife describes it as moldy. This happens within an hour after consuming yogurt. I have no health problems (otherwise). I can't find out why this happens to me (it can also happen, to a lesser degree, after drinking beer). It is not histamine problem as I can consume non fermented food rich in histamine, no problem. I have had a constipation problem all of my life, not drinking enough water (do not like it) or eating enough fiber, etc. Nothing ever really helped me until Digestive Advantage Constipation Formula. I have been taking one capsule (or if I have eaten a lot of fiber that day, maybe 1/2 capsule (pouring half out and saving it) every single day in the mid/late afternoon. I have done this for over a year and never once had a problem. I actually had given up before this in thinking I would just never 'go' normally every day. This is the best product on the market and I hope that they never stop making this. I started taking probiotics after taking antibiotics several months ago and my digestive health is much better than it ever was. I have arthritis in my thumbs and since I started taking them the swelling and pain has subsided. I will continue to take them for that reason alone. I am a diabetic, and have 5 stents in my heart. And I also have breast cancer and I am trying to find out what probiotic is good for me. There are probiotics that may help restore beneficial bacteria following the use of antibiotics (they combat bacterial infections but can also disrupt the balance of beneficial bacteria) and maintain a healthy digestive microbial balance. Aside from gut health, probiotics are also good for pregnant women and the baby inside them. I have had H. Pylori and was treated with antibiotics which helped my digestion issues, which included nausea, bloating, burping/belching, constipation, etc. In the past few months, those old symptoms have begun to reoccur. 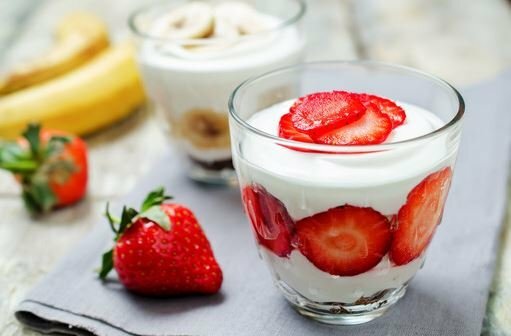 I've been reading about probiotics and am wondering if they may be an answer to some of the problems that I am experiencing. At least with acidophilus (a probiotic) you know it's pretty safe. It's in most yogurt. I can't think of anyone I know overdosing on yogurt. Even yeast I'm skeptical of. What if you get a yeast infection! It happens all the time. Maybe not from eating it though. What were the side effects of your probiotics?